Lauren Marcus (Be More Chill), Nick Blaemire (tick tick...BOOM! 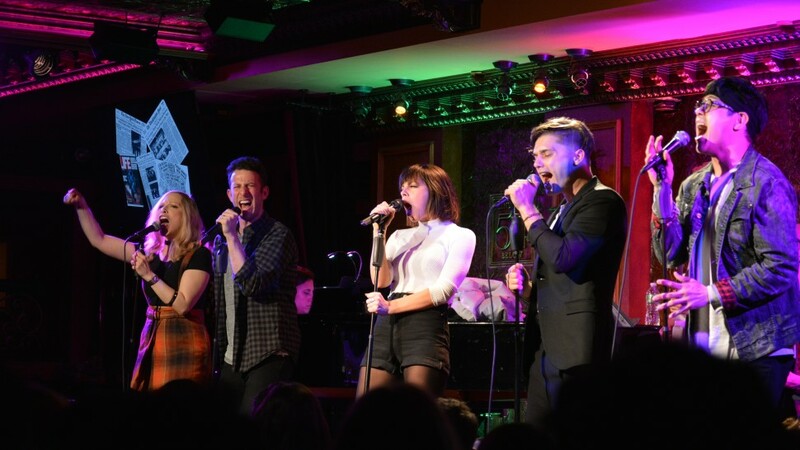 ), Krysta Rodriguez (Spring Awakening), Andy Mientus (Spring Awakening), and George Salazar (Be More Chill) sing Jonathan Larson's "The Truth Is a Lie" in this special first listen from the new album The Jonathan Larson Project, out April 5 from Ghostlight Records. Listen to the track below. This never-before-recorded song was written for a 1990 concert at the now-defunct venue The Space. The evening, titled Naked Angels Censorship Show, featured work from such writers as Theresa Rebeck, Warren Leight, Richard Greenberg, Jon Robin Baitz, and Kenneth Lonergan, directed by artists including Joe Mantello and Matthew Broderick.